19 years ago Eric Harris and Dylan Klebold killed 12 students and a teacher and injured 24 others before they shot themselves. 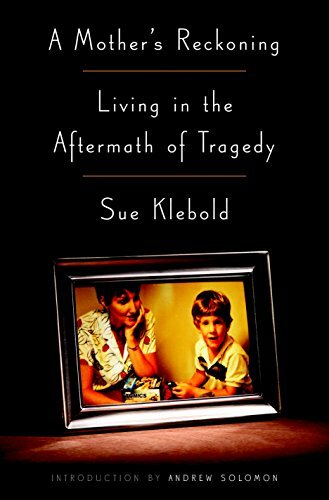 This story is from the point of view of his mother - Sue Klebold. In 2016, she wrote this story about the grief and heartache she has dealt with in the wake of what her son, Dylan, did. She claims she didn't know what he was up to. That he was a loved child and she a hands on parent. Since that fateful day, Sue has become an avocate for brain health, suicide, and children in distress. She hopes that her book, and her story will help other parents recognize when their children are in trouble to hopefully prevent one more child from doing what Dylan did. I have mixed feelings about this book. First - I commend her for writing it. Last year I read a hefty book about Columbine, and leanred many things I never knew about the 1999 tragedy. We all thought the same thing - these kids were bullied loaners who decided to get revenge. It turns out, that wasn't true. It was more likely mental illness that was the center of this tragedy and without help, the tragedy occured. Second - I don't think that Sue is being completely honest with herself. She makes a lot of excuses for Dylan in this book. In the beginning she talks about nothing but Dylan's blame and that nothing will make him blamelss in all of this. But as the book goes along, she starts to make excuses for his behaviors and why he did what he did. Dylan's Junior year was reaked with clues that he was in trouble. But Sue and her husband excused many of the behaviors as "boys will be boys" and that "he wouldn't have gotten help even if we asked him to". I am trying not to judge too harshly because I am not in her shoes. I was not in Dylan's house every day. I cannot say how I would have reacted myself if Dylan was my child. We all say we would have done things differently, but would we? We always want to portray our children at their best because we love them. But making excuses for their bad behavior is part of the problem. You cannot brush off a kid who gets arrested, and defaces school property, and is showing signs of depression. These are all things Dylan did during his junior year. He grades dropped. He stopped participating in activities. The clues were blaring. Yet nothing was done. In fairness, 1999 was a different time than today, in the awareness of mental illness. In Columbine, a lot of people missed the clues. Not only his parents, but his friends, his school, his co-workers. He fooled them all. I cannot recommend or not recommend this book. Did I gain more insight into the Columbine tragedy by reading it? No. 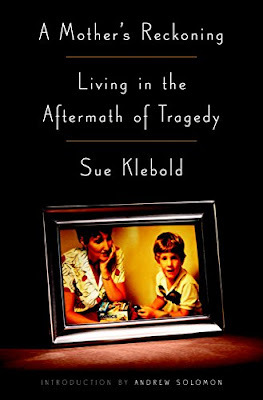 But you may be interested to hear what Dylan Klebold's mother has to say.